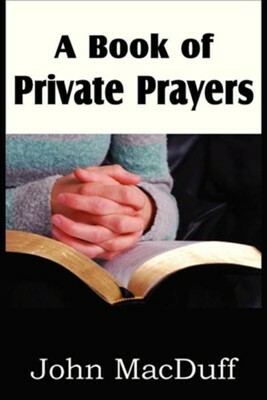 A Book of Private Prayers is a thirty-one day devotional by John MacDuff, one of the finest devotional writers of all time. Each day includes a morning and evening reading designed to inspire and rejuvenate the reader. The verses of Scripture at the head of each prayer, are made suggestive of thought for the morning and evening prayers which follow. This, it is hoped, will secure greater variety in the subject matter of devotion. To all who have God as their Father, these aids to devotion are inscribed. I'm the author/artist and I want to review A Book of Private Prayers.